What are the costs, in dollar figures, associated with implementing Microsoft Office 365? What are the benefits realized by organizations that implement Microsoft Office 365? What does this mean for ROI? What kinds of circumstances lead a company to determine that Microsoft Office 365 is the right fit? 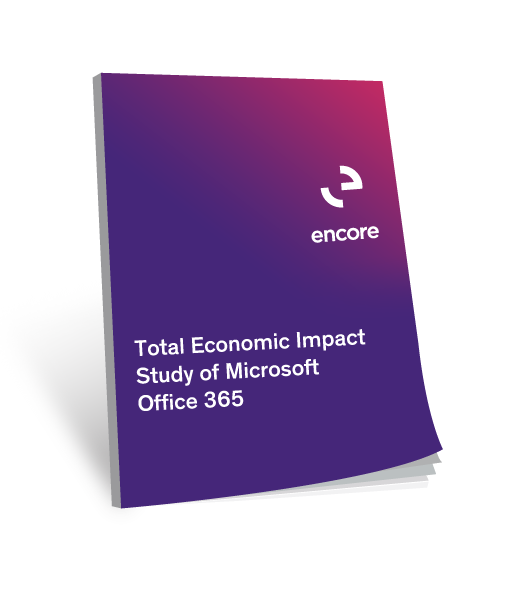 Find out in this 35-page report (with executive summary) by Forrester Research: Total Economic Impact™ Study Of Microsoft Office 365! By filling out this form, you consent to receiving business technology resources by email from Encore Business Solutions. You can unsubscribe at any time.